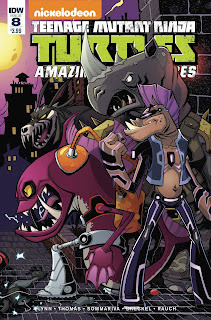 *"Job Security - Part Two"
*This issue is continued from TMNT Amazing Adventures #7. 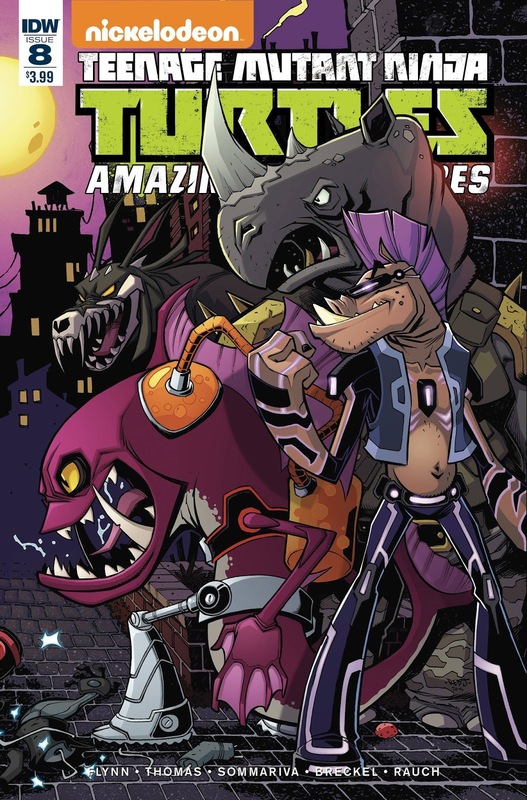 The series continues in TMNT Amazing Adventures #9. *This issue was originally published with 2 variant covers: Regular Cover by Jon Sommariva, and Subscription Cover by Lucas Elliot.